If you’re looking for an off the beaten path kind of destination, El Nido Palawan, Philippines is certainly a great option! Its striking scenery comprised of rugged gray limestone cliffs extending directly down into crystal clear turquoise blue water makes El Nido a veritable post-card destination. 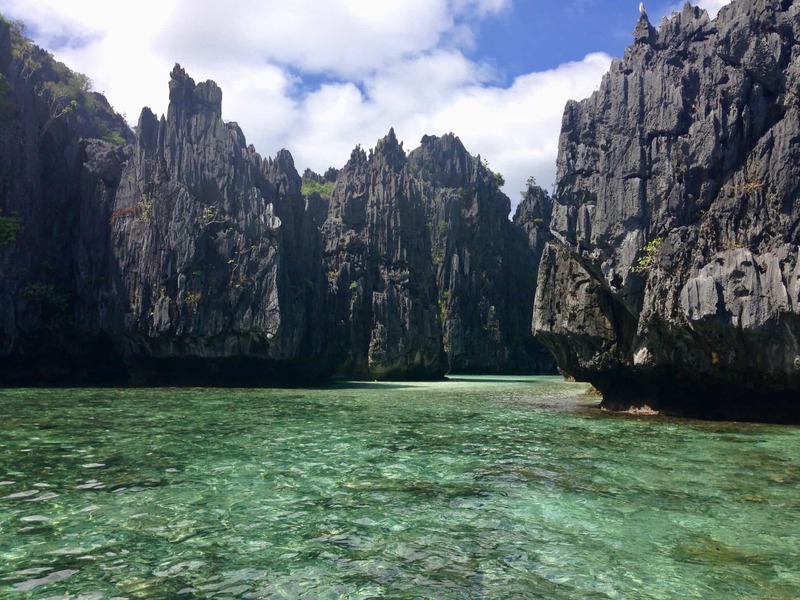 El Nido Palawan is one of our favorite places to visit, and we think it will certainly become one of yours too! 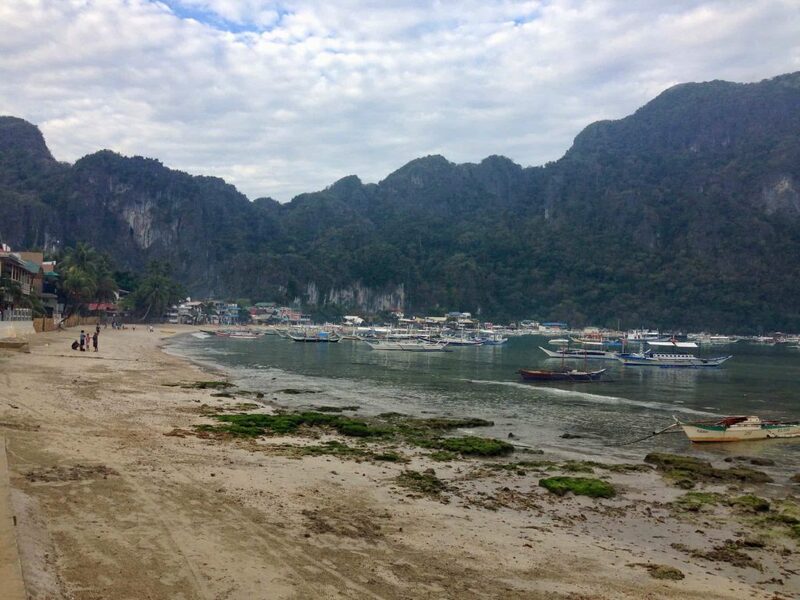 All along the El Nido Harbor, as well as 5 to even 20 minutes south of El Nido, there are hostels and small local hotels. Though El Nido’s popularity has grow exponentially in the last few years, it still has that small town charm, and thus offers many non-chain accommodations. In El Nido or Just Outside? 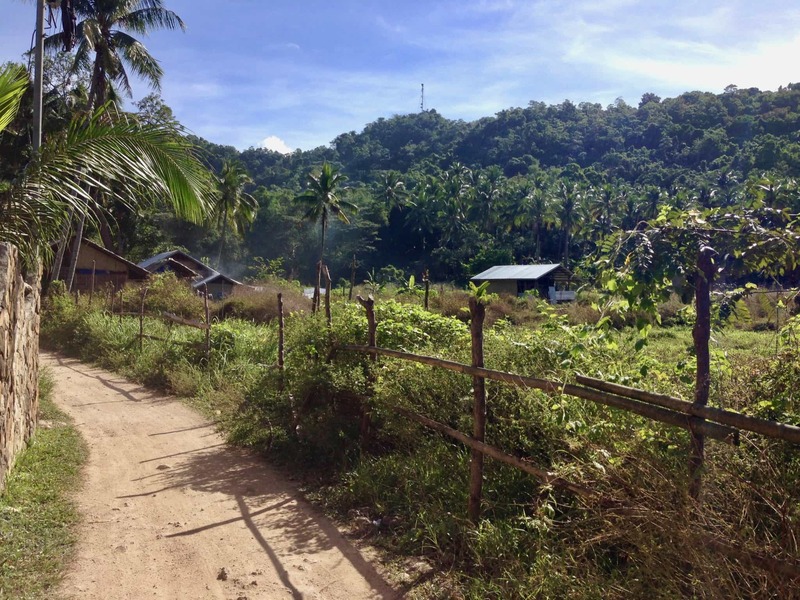 The question of whether to stay directly on the main drag in El Nido or just outside the main area, or maybe even an hour north of El Nido is a matter of personal preference. We stayed at and highly recommend La Salangane Caalan Beach Villa*. Julia and I opted to stay just outside of El Nido – about 15 minutes walking – as we wanted to be nearby the excitement and activity of the main drag as well as all the nightlife and restaurants it has to offer, but we also wanted to be able to leave it all behind at will. This path at night was not lit, so we had to bring headlamps. We found this experience quite charming however. As El Nido now has electricity 24/7 (when we were there it was only available from 6PM to 6AM) it’s likely they have installed more street lights. 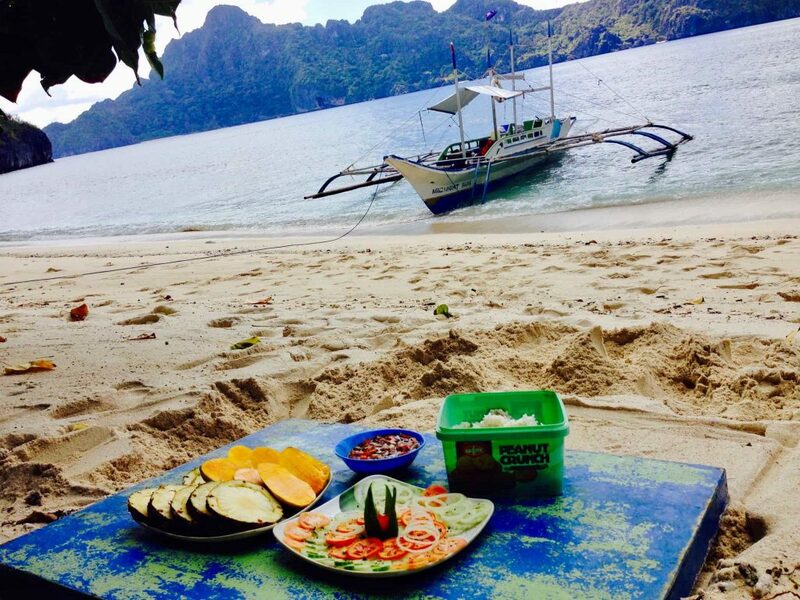 If you really want some peace and quiet, I suggest you stay outside of El Nido. 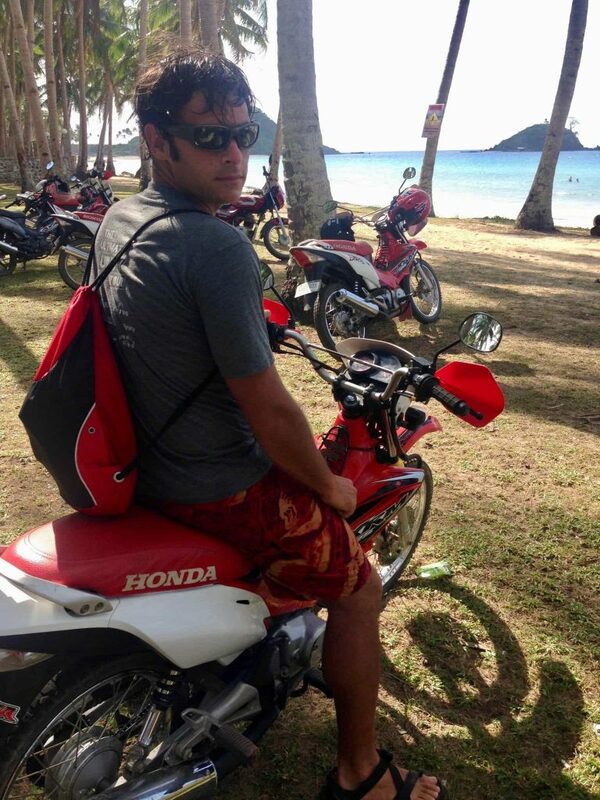 To get outside of El Nido, either hire a tuk-tuk or rent a motorbike. Both options are cheap, and we didn’t even need to show our licenses to rent the motorbike! Honor systems RULE!!! About 15-20 minutes south of El Nido (by motorbike or tuk-tuk) there are a number of wonderful beachside accommodations. Look for places between Corong Corong Beach and Marimegmeg Beach and you’ll see what I mean. 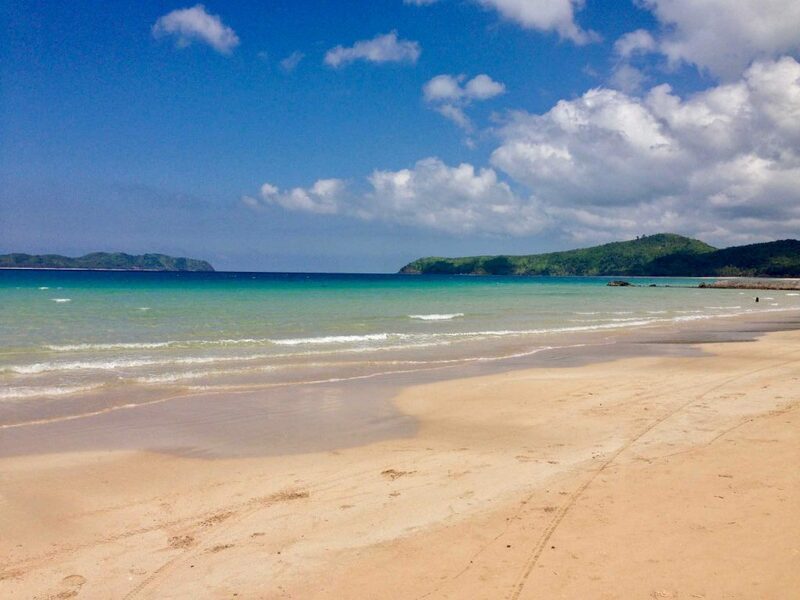 If you’re willing to head about about an hour north of El Nido Palawan (again by tuk-tuk or motorbike) you can reach Nacpan Beach! We rented motorbikes and took a day trip there, but we wished we had plan to stay there for at least a night or two! Both south of El Nido and far north near Nacpan Beach there are not too many amenities (restaurants, bars, dive shops, etc.) but theses are PRISTINE (especially Nacpan)! 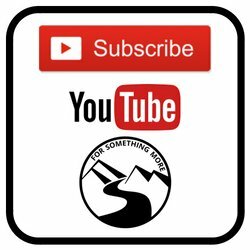 I highly recommend you at least check them out for a day trip. See what I mean about pristine? About all you’ll find here are some small beach side cabana restaurants selling some of the freshest, most affordable and DELICIOUS seafood I have ever had! And, if you do decided to spend a night or two up here, I think you will find the accommodations to be perfectly simple! I highly recommend you take an island hopping tour while you’re in El Nido. 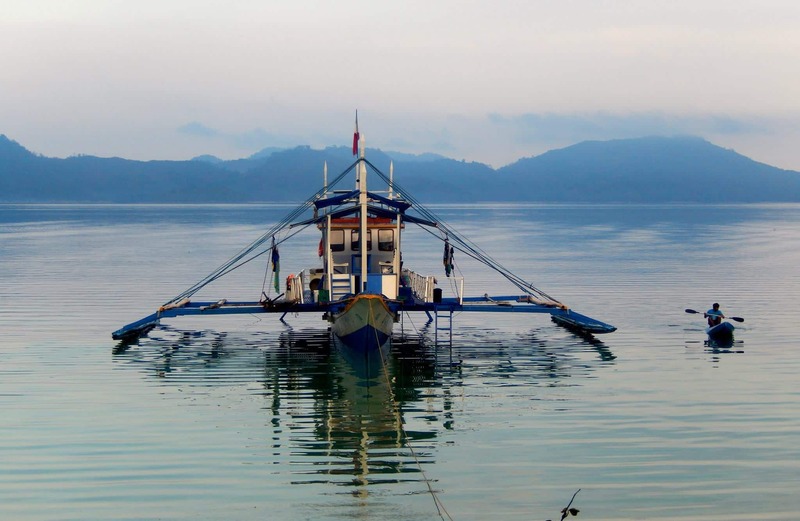 The gist of the entire experience is that you ride upon a traditional Philippino bangka to a number of uninhabited islands around El Nido Palawan. If you’d like, you can go swimming along the way. On some of the islands you can sunbathe on the beach. Usually, the tour lasts all day (10AM-4/5PM) an includes a fresh cooked lunch of grilled seafood, meat, vegetables and steamed rice. 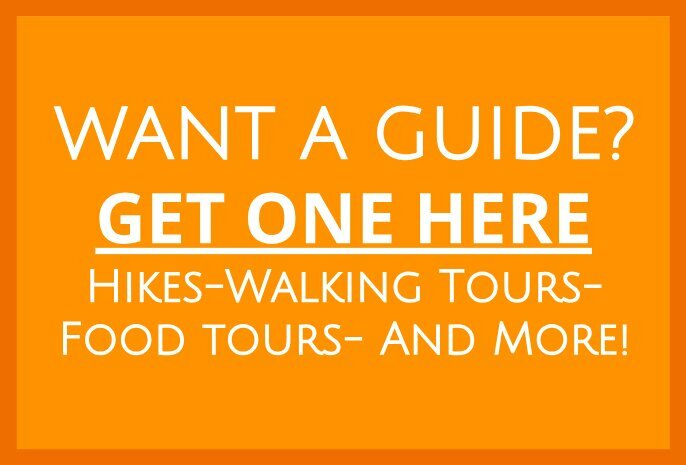 Most of the tour boats charge the same price (or nearly the same price) so don’t get fooled into paying too much! These were some of the types of places we saw on our tour! As I mentioned, lunch is freshly grilled on the back of the boat, and it’s DELICIOUS! I guess we didn’t get a picture of the fish and meat, but it was fresh and amazing! I promise! If you like scuba diving, El Nido Palawan is a nice place to dive. There is plenty of beautiful coral and wildlife to see, and there are TONS of dive sites. While some of the highly experienced divers on our boat did not find too much to marvel at in El Nido, as beginner divers, we were spellbound! Again, if you want an amazingly knowledgable, supportive, kind, patient and encouraging PADI-Certified SCUBA instructor e-mail OJ (quintanaoj@yahoo.com) to set up a class. 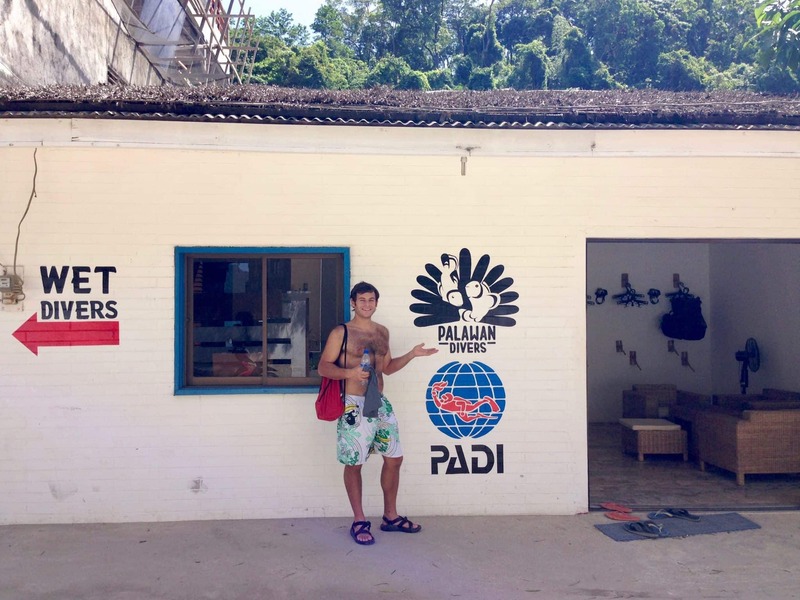 If you’re looking for a dive shop, I highly recommend Palawan Divers. They were extremely safety-minded, professional, knowledgable, competitively priced and had well maintained gear. 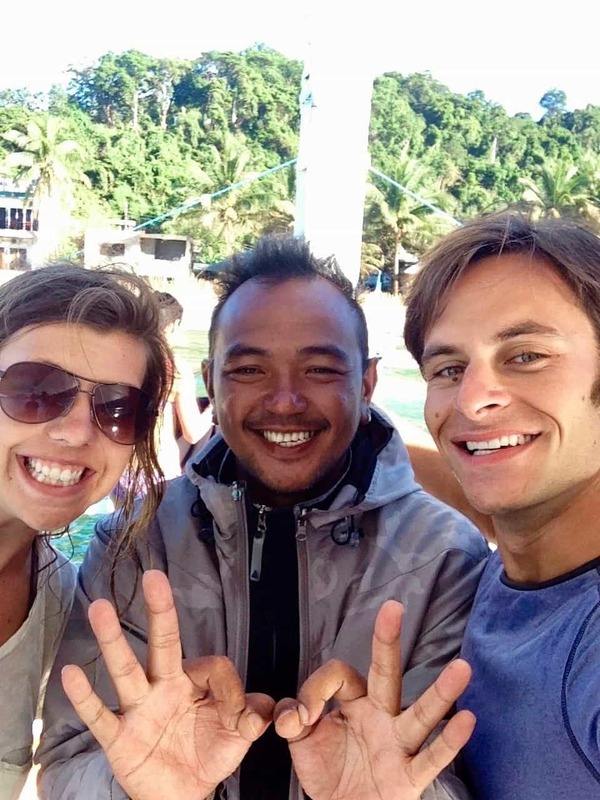 Most of all, our dive instructor, OJ, was top-notch! What more can you ask for in a dive shop? 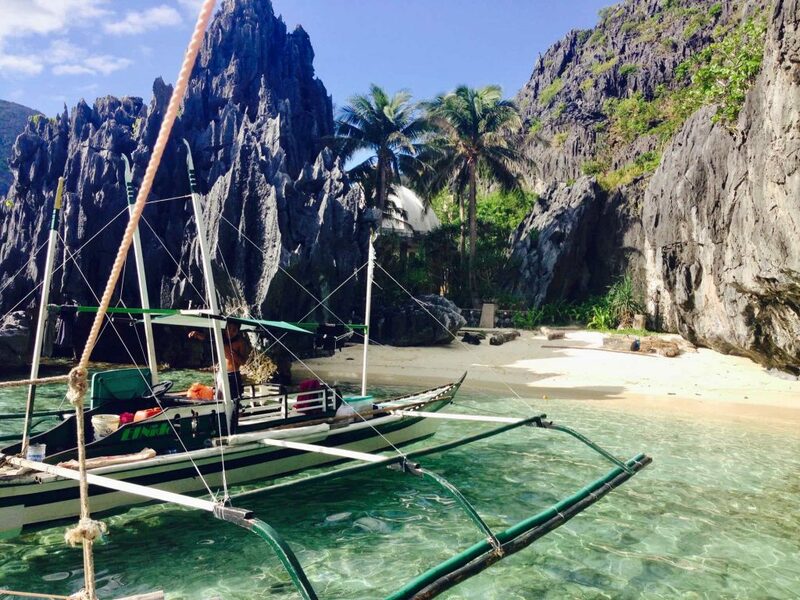 If you’re particularly adventurous and don’t mind roughing it, you can actually sail to El Nido Palawan. A good friend of ours made the journey with Tao Philippines, and she had nothing but good things to say about the experience. But again, check out their “disclaimer” before applying for the trip. We are excited to follow in her footsteps! In any case, if you’re the adventurous type, you ought to give Tao some consideration! 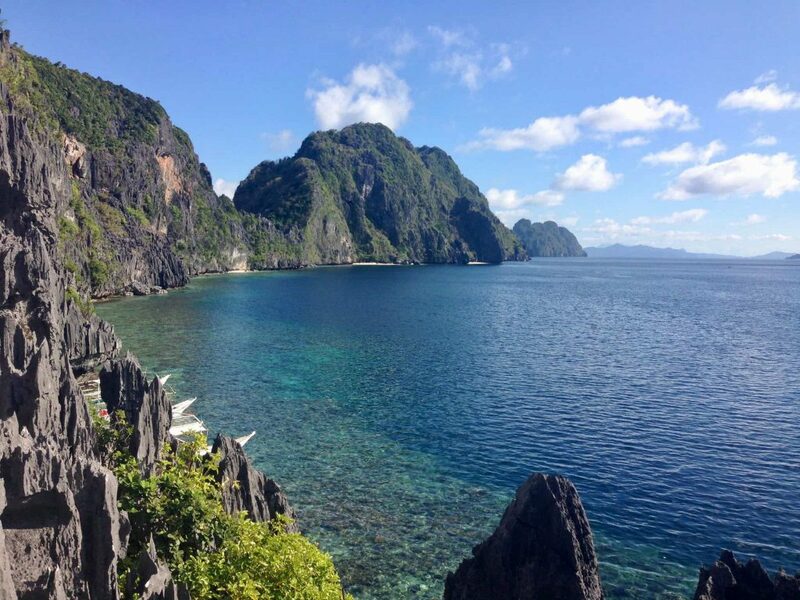 The bottom line is simple, El Nido Palawan is a fantastic place! 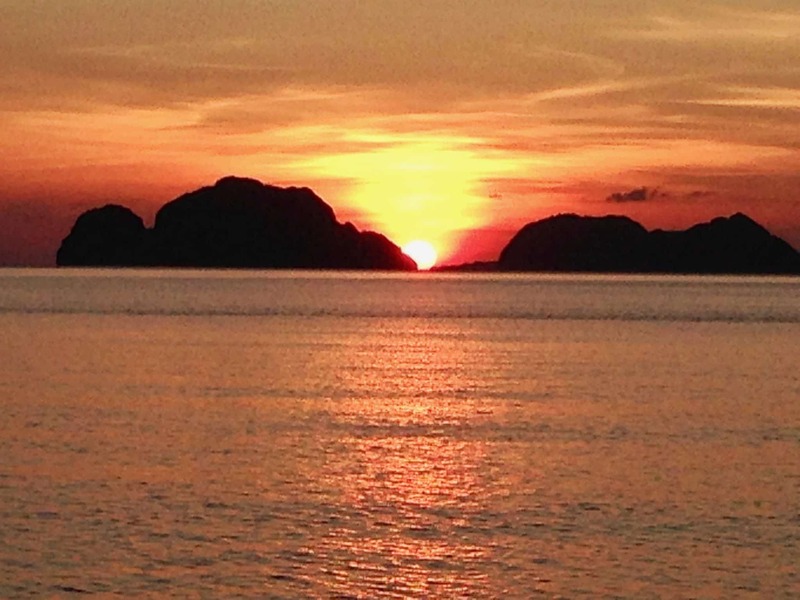 With sun, SCUBA diving, beaches, hiking and more, El Nido has it all. If you like this type of island vibe, but want to experience different foods, culture and sights, definitely check out Zamami Island in Japan, and you’ll similarly NOT be disappointed! 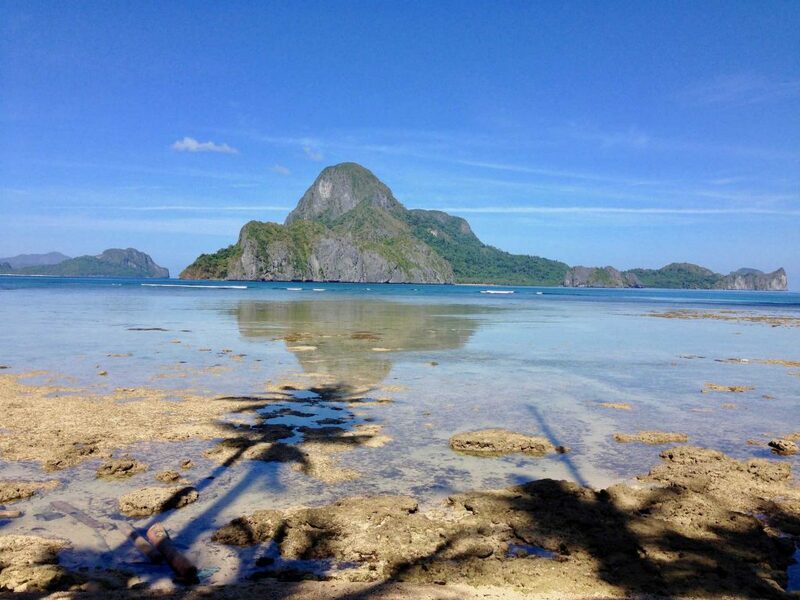 El Nido and other places you write about here look heavenly. I am not a scuba diver, nor can I eat seafood and yet I would love to go there one day! Beautiful pictures and once again, I feel like I was there with you. Great writing! Seafood or not, I think this is a place that would be hard not to like. 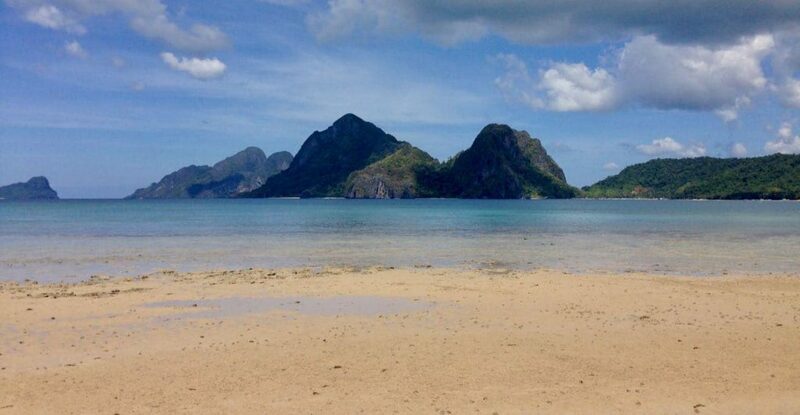 It’s gorgeous, and we are grateful beyond words for the opportunity to have been able to visit El Nido!